The Indianapolis Children’s Choir has impacted thousands of lives since that first summer Choral Festival in 1986. Alumni keep returning – as concertgoers, as undergraduate music students, in quick email or phone call exchanges – to thank directors for shaping our lives. The biggest “thank you” most alumni can give is the gift Mr. Leck gave to us: music. In this year’s Alumni in Song, the second annual concert featuring alumni singers, we assisted in choosing the music for the concert – including the voted song “Set Me as a Seal” by Rene Clausen – and gathered together, retreat-style, at Butler University. We had a whole Saturday of rehearsal, silly ice-breakers, bonding, reminiscing, and musical talent reawakened in familiar warm-ups, and on Sunday, January 3, we gathered at Carmel Lutheran Church for an afternoon concert with the Indianapolis Youth Chorale. It’s amazing what these pipes can do after so many years out of the program! The best part of Alumni in Song, especially for the 30th anniversary season, was seeing just how varied the “class representation” was across the alumni choir. 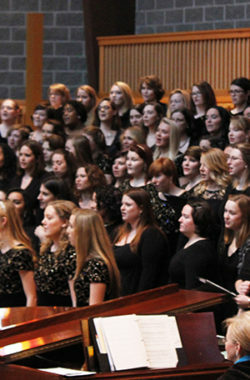 A decent portion of the alumni choir had participated in the very first ICC season. The alumni choir consisted of singers from the end of the 80s, through the 90s, the early 00s, up to the most recent graduation in spring 2015. 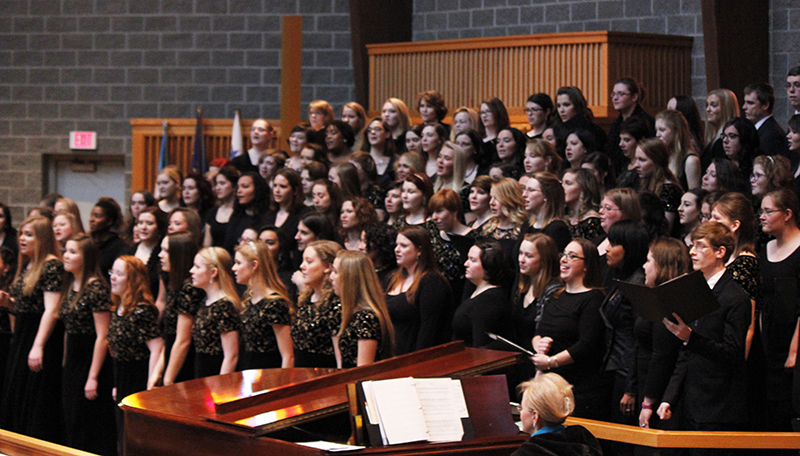 You don’t need to imagine the awe and inspiration upon seeing 100 singers representing the past 30 years of the ICC. You don’t need to imagine the sound and musical quality that still reverberates in every alumnus. You don’t need to imagine the connection each singer held with Mr. Leck, with their neighbor on stage, with the audience, with the music. You don’t need to imagine any of it, because the ICC Alumni Association is proud to announce the Alumni in Song concerts will continue on! 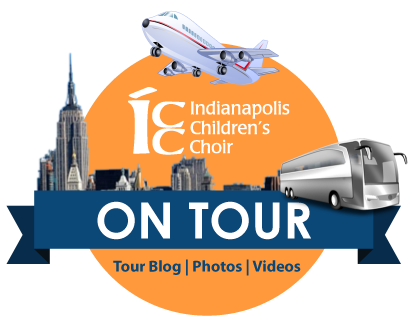 It is our opportunity to share with you – our parents, our friends, our children, the current singers, the current chaperones, the current ICCPA, the current ICC Board – just how much the Indianapolis Children’s Choir lives on. Mark your calendars for the afternoon of December 31, 2016. This is a concert you won’t want to miss, a concert to begin a new year! Photos from Alumni Weekend 2016 can be found here.